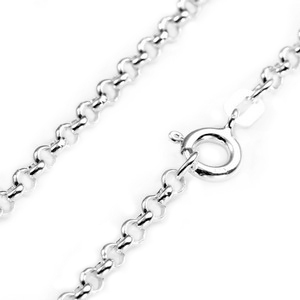 This 925 sterling silver rolo chain works well with many of our pendants. Clasp type may vary. Available in 16, 18 and 20 inch length.